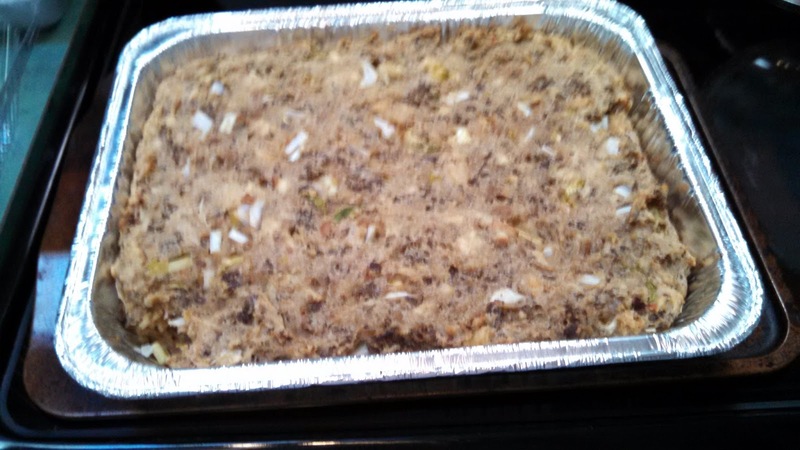 Every year my daughter's co-workers ask for a pan of my homemade dressing for their holiday party. This is what it looks like. I think it tastes better from inside the turkey but they must like it if they request it every year. Below is the recipe.